Classy hair stylin' with 2-Pack savings. Classic clipper cuts and close-to-scalp buzzes have forced these Combs out of commission. They need you to give them a new purpose in life. Enlist their help in your daily grooming routine. Unbreakable plastic makes for an unbreakable contract of service terms. Italian Military Surplus Pocket Comb, 2 Pack, New is rated 4.0 out of 5 by 1. Rated 4 out of 5 by AF Socal from Bare basics but good product. 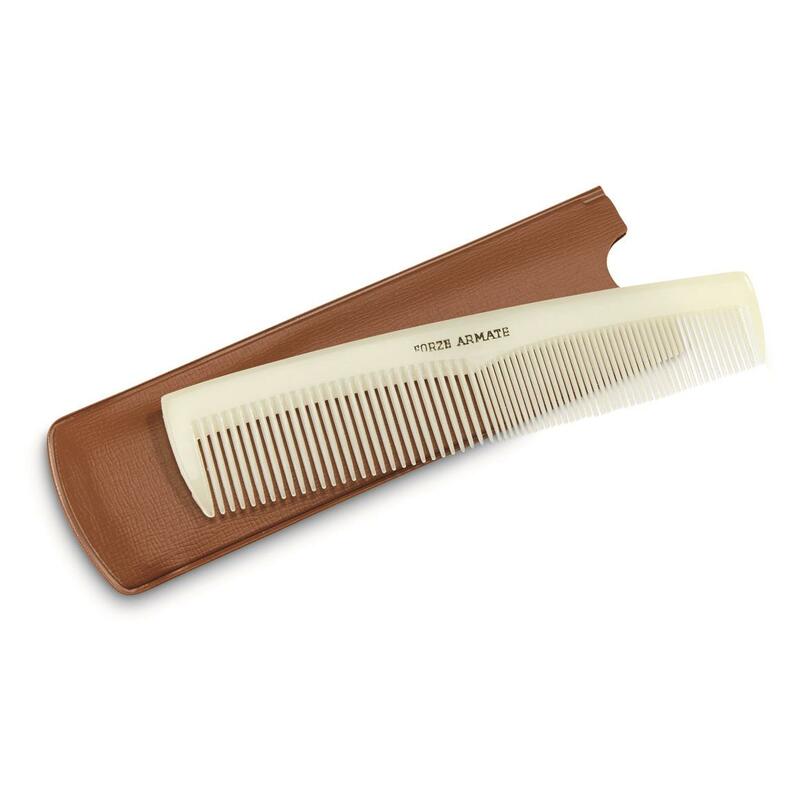 These combs are just the ticket for everyday or stash in the EDC bag. one arrived a bit twisted my son claimed that one and his friends think its cool. still totally functional. They both get used everyday and i just put them on the wish list to pick up a few spares as they are handy.